Today’s landfill owners are facing a growing number of environmental and economic issues – mostly caused by the slow, anaerobic decay of buried garbage. Without oxygen, these bacteria not only produce harmful liquids (known as leachate and that contain a variety of chemical and toxins), but also foul odors, pathogens, and methane, a toxic greenhouse gas that is 23 times more harmful than CO2. If released from the landfill, these toxins and gases contaminate nearby water resources, soils, and the atmosphere. In response, the US Environmental Protection Agency (USEPA) promulgated Subtitle D of the Resource Conservation and Recovery Act (RCRA) whereby landfill owners are required to take on the burdens of installing expensive protection systems, such as plastic liners (HDPE and PVC) and engineered caps and covers. Moreover, once the landfill is closed, they must also take on the scope and costs of post-closure care (PCC) to include a prescriptive monitoring regime that could last for 30 years or more. In most cases, PCC includes using monitoring wells and/or observation points, constructed along the landfill’s boundary, to detect any groundwater and gases that may be migrating off-site. Other PCC activities include cap maintenance, stormwater and groundwater control and monitoring, and landfill gas (LFG) collection. 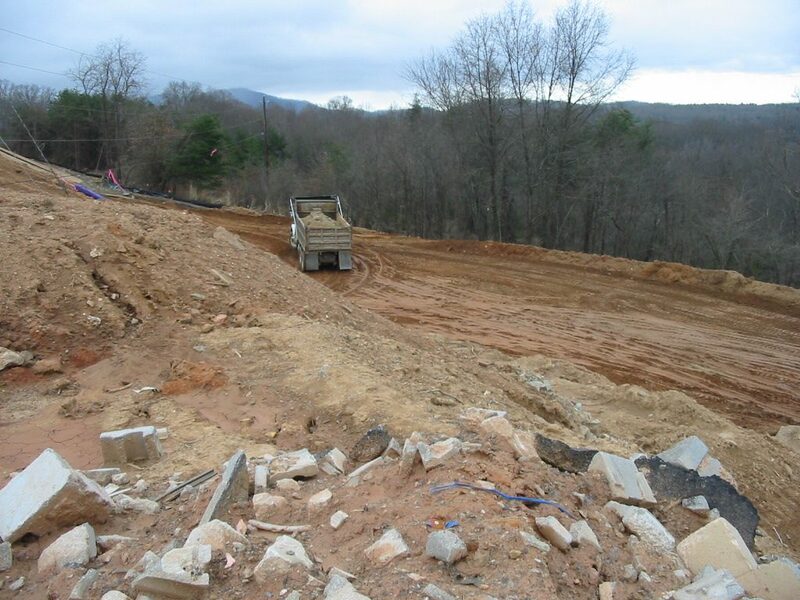 While liners and detection systems can be effective, the corrosive nature of leachate and gases, as well as the lack of extensive liner testing, has led the USEPA to state that “[for modern landfills] even the best liner and leachate collection systems will ultimately fail due to natural deterioration.” Moreover, few liner manufacturers provide long-term warranties; this leaves owners of many operating landfills viewing liner and cover systems as temporary protective measures and, thus, wondering how bad a leak would be if and when a liner system fails. Others ask if there are any solutions to the impact already detected at unlined legacy sites. How Do We Make Landfills Environmentally Sustainable? The answer to this age-old question lies in changing the waste decay processes inside the landfill. Through the use of an innovative, patented biotechnology, McGill is able to alter specific biochemical processes that are breaking down the waste inside the landfill into more benign by-products; this is done by using a proprietary mechanical system of blowers, pumps, and controls that are retrofitted into the landfill to change the landfill’s interior from an anaerobic to an aerobic environment. Once air is added, different microbial communities grow and take over the waste degradation process. Yet, instead of generating harmful anaerobic toxins and gases (such as methane), lower amounts of carbon dioxide and other compounds are produced. 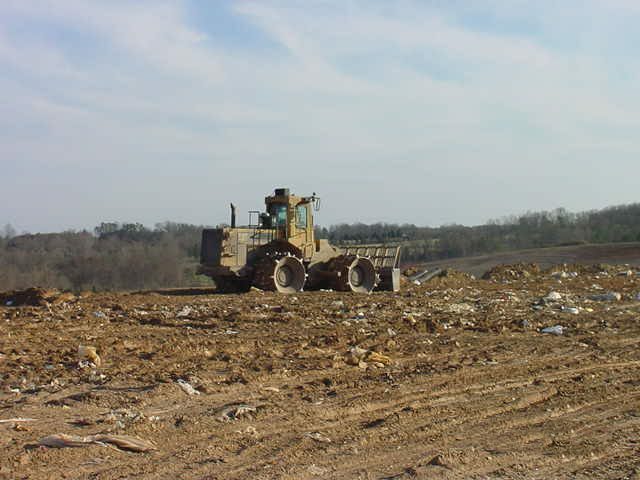 Therefore, depending on the type and characteristics of the landfill, this approach can be used as: 1) a method to improve operations at existing landfill sites, or as 2) a pro-active remediation technology to lessen the potential impact from a possible future leak or address ones that already are leaking. With respect to PCC, lowering the risk to groundwater and the climate allows owners to make strong arguments to lower PCC, as its is based on risk. Moreover, owners can use this technology as the basis for new landfill operation regimes and strategies that can extend the landfill’s waste capacity, reduce impacts to human health and the environment (HHE), and provide a more sustainable approach to managing solid waste; this ultimately will lead to the creation of new types of landfill designs, help address climate change, and create opportunities for realizing new tipping fees and carbon credit revenues. Referred to as the “Aerobic Landfill Bioreactor System” (ALBS), waste decay is not only thorough, but can be up to 30X faster than anaerobic decay processes. 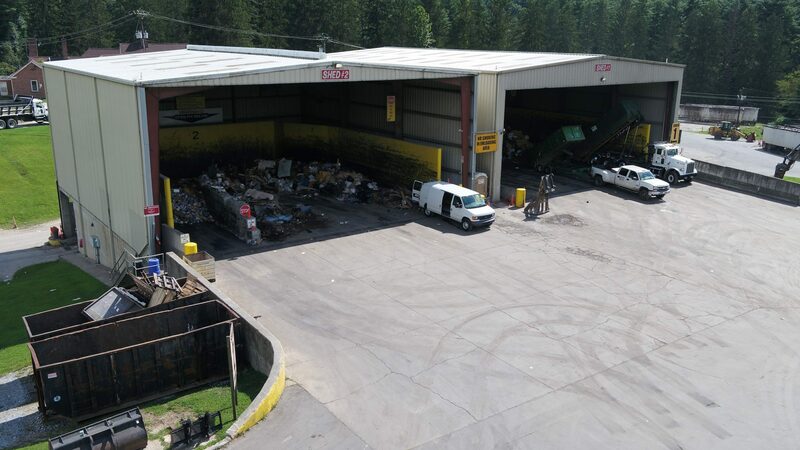 After 36 to 48 months of 24/7 operation, the waste and the landfill becomes more “functionally stable.” The system can then be disassembled, removed, and then reused in other cell or another landfill. Afterwards, the owner can employ a number of site redevelopment options at less risk. These can range from safer parks and golf courses to re-opening closed sites back into revenue-generating operations once re-line to meet Subtitle D requirements. Since 1998, over a dozen projects have been conducted in the U.S., with several more overseas, each providing positive environmental benefits. For example, the ALBS has shown to reduce Biochemical Oxygen Demand (BOD) and Chemical Oxygen Demand (COD) by over 90% and reduce methane gas production by over 95%. At one site, the ALBS eliminated leachate production by 100%, due to the evaporative effects of the process (the operating range for waste mass temperatures is controlled between 150 to 170 degrees F). In addition, reductions in mercaptans, ammonia, and hydrogen sulphide and other odor-causing compounds have been documented. Lastly, landfill cover settlement has been observed to reach up 20% (h/h). Overall, the ALBS method is a game-changer for both the solid waste and remediation industries. From a solid waste management perspective, this “bioreactor” method can be permitted as a waste treatment method, rather than a waste disposal system. Thus, no new landfills may be needed; existing ones, closed or operating, can now be reused. 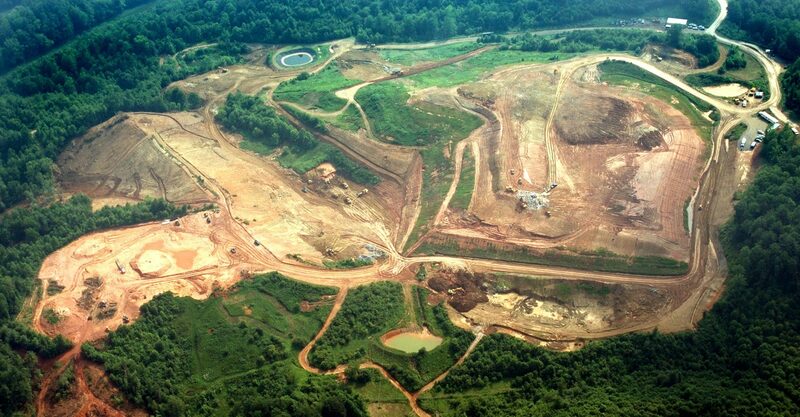 Moreover, many of the nation’s 50,000-plus closed legacy landfills and dumps can be directly remediated, instead on indirect pump-and-treat systems, which may continue operating for decades. Finally, agencies such as the USEPA view the ALBS as a method to increase waste decay (36 to 48 months versus decades), as well as as a method to reduce methane. Moreover, under its United Nations Clean Development Mechanism (CDM) Protocol, operation of an ALBS can generate carbon credits, potentially worth millions of dollars, due to the “avoidance” of this harmful gas. Upon completion of the ALBS phase, the owner can employ a number of site redevelopment options, as mentioned above. Further, the ALBS can be coupled with landfill mining (LFM) to bring new life to old landfills, whereby landfill cells could be reused repeatedly to treat and manage waste. 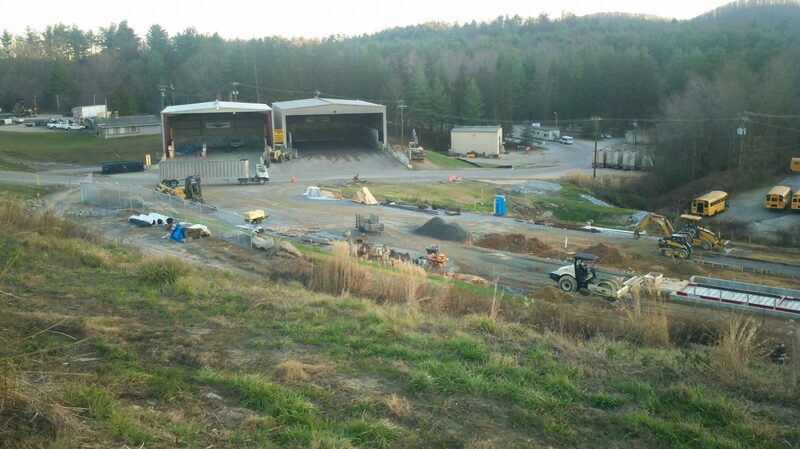 As documented at several U.S. landfills, LFM has resulted in reducing groundwater contamination, helped reclaim valuable land, extended landfill life, and provided a new source of revenues from recycled materials and new tip fees. Not only does the ALBS reduce many of the associated health hazards (odors, explosive gas, pathogens) to allow LFM, but does so in a timely manner, thereby increasing the cell’s “turnover ” rate. As cited by Morris (2011), “conditions for sustainable reuse of a former landfill could be met by a combination of enhanced waste degradation (e.g., through leachate recirculation or in-situ aeration).” This accelerated sequence of fill-treat-mine-refill can be used as the basis for a sustainable landfill. It is clear to see that the ALBS can have a significant positive impact on the environment, operations, and other landfill operational elements and, unlike other technologies, provide multiple benefits. 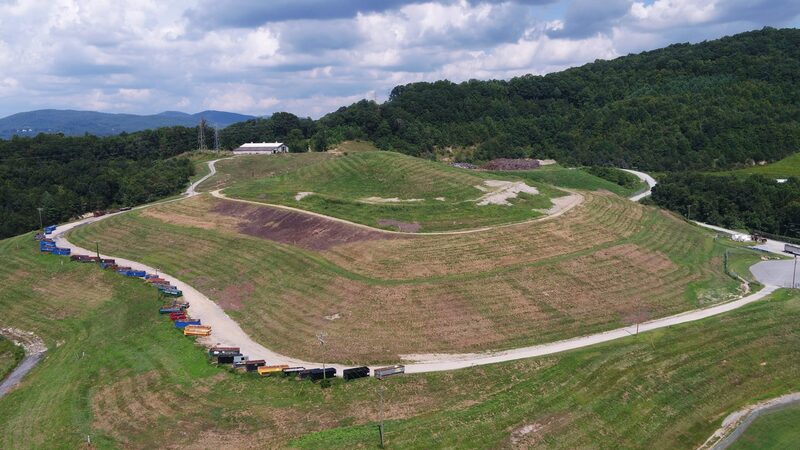 For example, as presented earlier, both the ALBS and sustainable landfill approaches address owners concerns over liner and cover systems serving as temporary protective measures. Should a leak occur, or if it has already happened, the aerobic degradation lowers the risk to groundwater; therefore, PCC scope should be less stringent. If LFM or cell-reuse is included, PCC should be minimal. However, each landfill is different in terms of construction, setting, waste profile, hydrogeology, and regulatory requirements. Also, the goals and budgets of owners can vary. While some owners may want to operate their sites for many more decades, perhaps using a sustainable landfill approach, others may want to only address PCC in the short-term. In these latter cases, McGill staff uses, through its unique understanding of the biochemical processes that occur within a landfill, a new scientific, performance-based model to help owners lower PCC scope and costs. In these cases, our PCC Evaluation and Remedy Model (PERM) is applied, first, as a screening tool to estimate and assign current risk based mainly on historical PCC data. In some cases, nature may have already degraded some or a large majority of the organic waste materials; however, the current PCC scope may not necessarily reflect such a lowering of risks. If screening indicates there are obvious downward trends of contaminants of concern (COCs) over time or if priority COCs do not exist in the groundwater, leachate, or gas, the owner could use these results to request a reduction in PCC scope. In cases where additional site data may be needed, PERM performs more complex calculations and analyses to generate a more comprehensive illustration of risk. Here, additional inputs are required, such as site and waste characteristics, regulatory limitations, and other potential influences that affect risk. Drawing on three decades of bioreactor and landfill design experience, McGill’s engineers and scientists use their innovative tools to address multiple solid waste, groundwater, climate, urbanization, economic, and social issues. Moreover, the industry can now view landfills more holistically­ – not as pariahs, but as effective, comprehensive waste treatment systems that also reduce greenhouse gases, lower threats to HHE, and cause minimal regulatory impact. Some may recognize the potential irony that these ideas may address as many issues raised by opponents to landfills can be addressed: operating landfills in a “greener” manner, coupled with reusable footprints, may result in less need to build new landfills; adding LFM to many communities’ solid waste planning increases recycling; and using an ALBS reduces greenhouse gases and odors. Instead, we can operate these safer-type landfills in the same space for generations, produce less hazards, lower risk, and reduce the carbon footprint of many communities. This not only makes PCC, as we know it, a thing of the past, but also huge mountains of garbage.